Stepping into downtown St. Petersburg is like opening a candy box filled with delicious colorful treats. 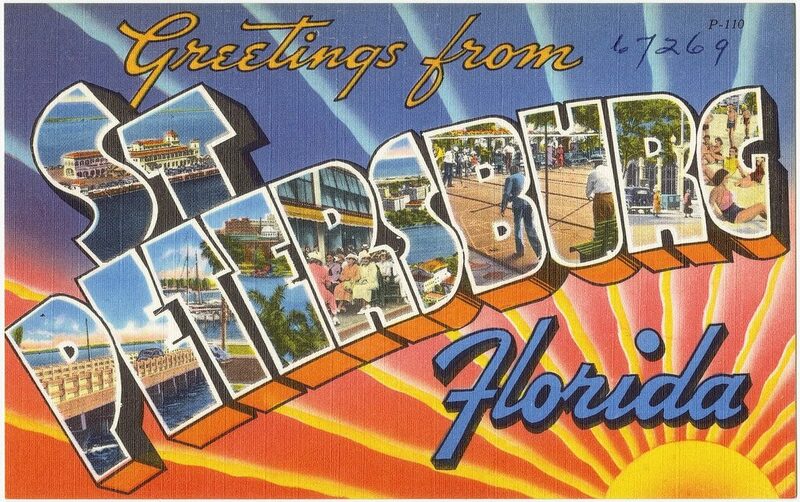 While St. Petersburg Florida has welcomed vacationers for generations to come play on its legendary sun-drenched beaches, today’s savvy travelers know that downtown St. Pete sports a vibrant arts, culture and culinary scene. In a word, St. Pete is “happening”! The revitalized city attracts artists, performers and spirited travelers of all stripe, and has an unprecedented collection of world-class art museums to explore. It’s definitely a place that will entertain you for days, if not weeks. Get ready to jump into St. Petersburg with our guide to the top things to see and do in St. Petersburg’s famed Waterfront Arts District. 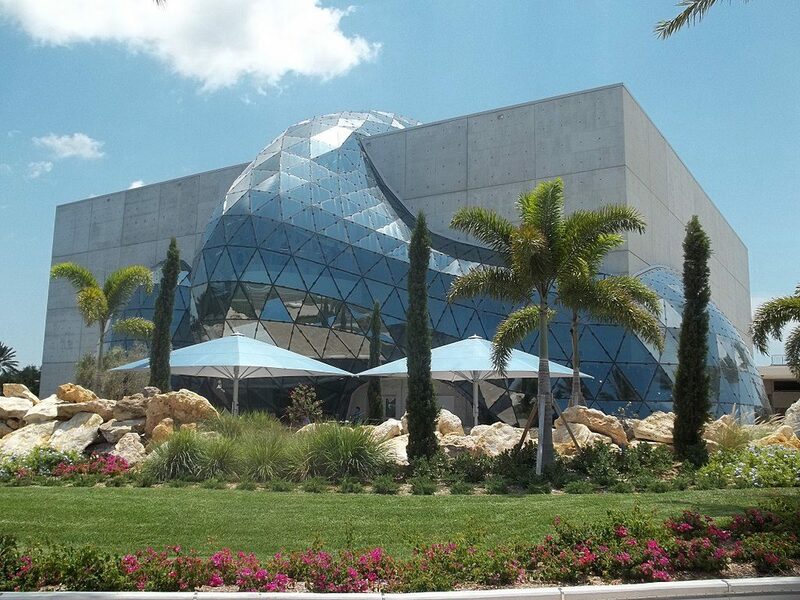 The Dali Museum – This “mind-bending” geodesic domed waterfront building houses a celebration of works by Spanish-born surrealist artist, Salvadore Dali. Works by Dali and special exhibitions are on display amid striking architecture, view of Tampa Bay and gardens. Docent led tours are on the half-hour most days of the week. 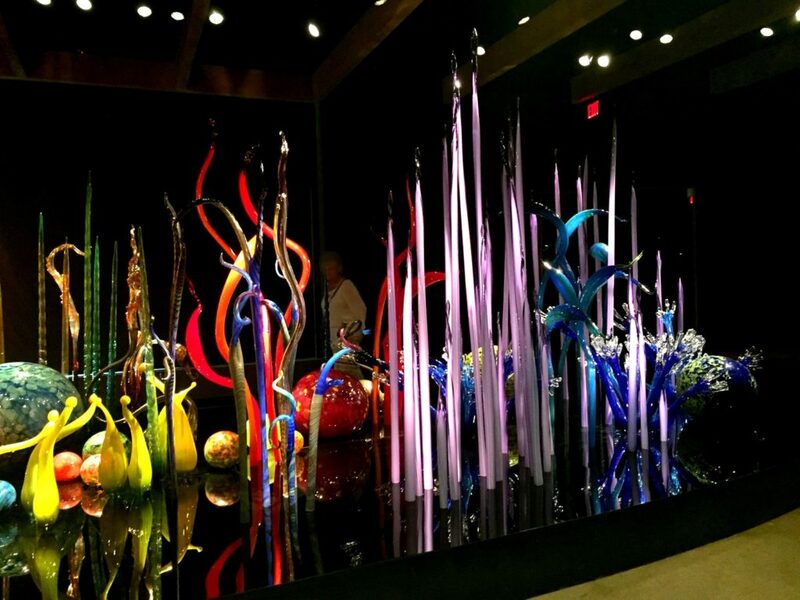 Chihuly Collection – This museum gives you an intimate look at the works of world-renowned glass artist, Dale Chihuly. After touring the dazzling glass works on display, watch an amazing movie that follows the process of creating Chihuly’s distictive glass styles through a week of work with the artist and visiting glass blowing artisans. Your ticket includes admission to a nearby glass blowing artisan shop to watch artglass pieces being created. 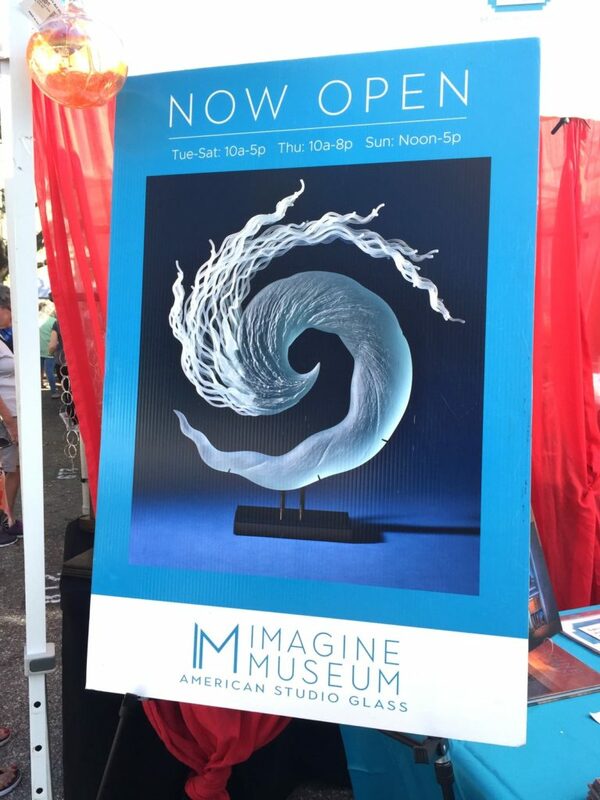 Imagine Museum – American Studio Art Glass Imagine that the first studio glass furnace was introduced in the USA in 1962. This museum chronicles the work of emerging glass artists and the development of the art over the past 55 years. The collection is home to more than 500 world-class pieces of American Studio Glass. Museum of Fine Arts – From ancient antiquities, to important works of art from contemporary times, this classic art museum showcases a wide range of artworks as well as special exhibitions. The permanent collection includes works by Monet, Rauschenberg and O’Keefe. The James Museum – Entering the facade of this museum building will visually transport you to the canyon-lands of the America’s west. The museum features the private collections of Mary and Tom James (chairman of Raymond James Financial). It is a magnificent collection of art and artifacts of American West and wildlife. Included are magnificent bronze sculptures, America Indian crafts, paintings and jewelry. In addition, don’t miss the contemperary pop art collection including works by Andy Warhol. 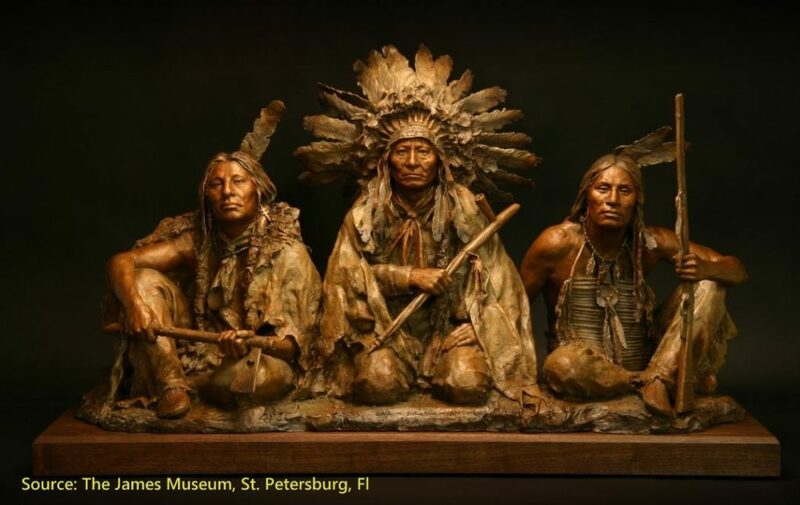 St. Petersburg History Museum – This museum offers an eclectic look at St. Petersburg’s past. Fascinating exhibits include a replica of the very first commercial aircraft that flew in 1914, the largest baseball collection in the world, an Egyptian mummy, memories of the Korean War era, and a chronicle of life in this Sunshine City since the days of Pioneers. You’ll find many things to delight you here. Holocaust Museum – This museum honors the memory of the millions of people who perished in the Holocaust. On exhibit are one-of-a-kind artifacts and artworks. Morean Glass Studio and Hot Shop – See glass artists at work forming stunning works of art glass from hot molten mounds of glass, through glass blowing to finished pieces. Daily demonstrations are also included with your Chihuly Collection ticket. You’ll also be tempted to purchase your own piece of art glass at the largest glass store in Tampa Bay. Morean Center For Clay – Here you’ll find the largest working pottery studio in the Southeast USA. They offer classes, workshops, rotating exhibits and a great shop to bring home a great clay creation. The center is located in The 1926 Historic Seaboard Train Depot which is a treat to see as well. 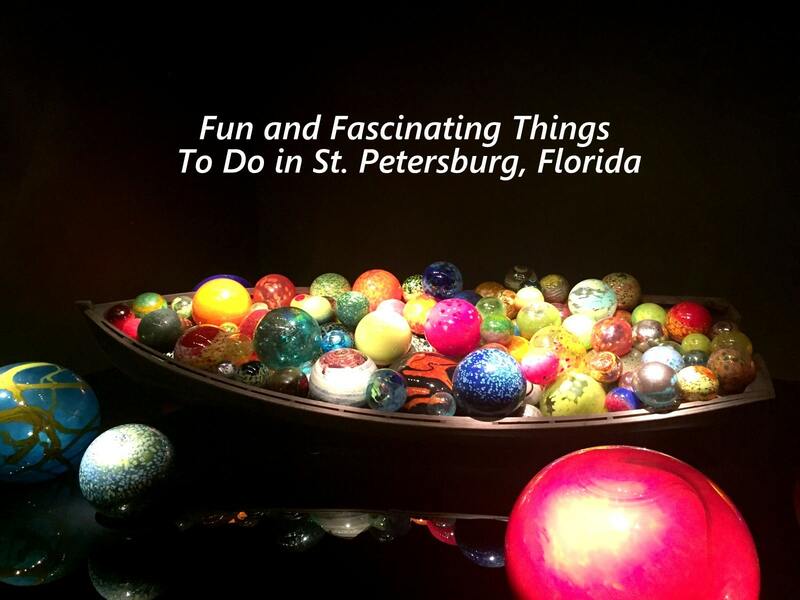 These are just a sampling of the fascinating arts places to visit in St. Petersburg. For more information and ideas visit the St. Pete Arts Alliance website. And stay tuned for a new museum opening in late 2019 – The Museum of American Arts & Crafts Movement. 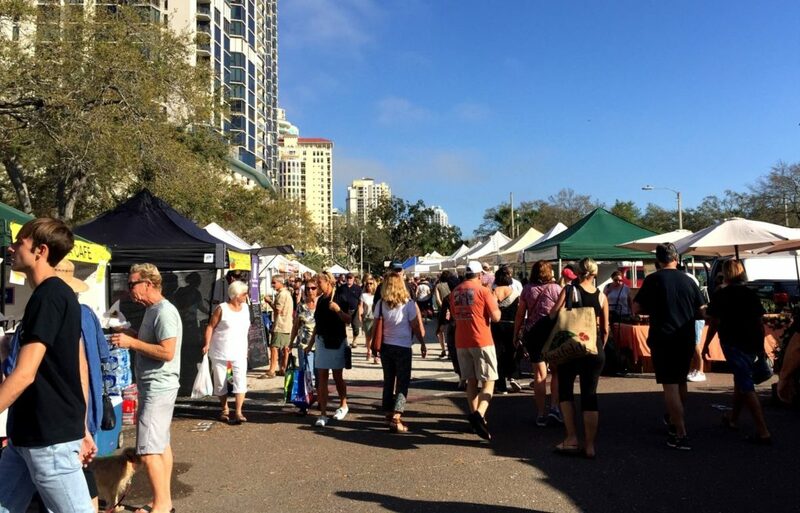 Saturday Morning Market – Every Saturday morning October through May, the city comes alive with street markets selling everything from organic farm-to-market produce, local crafts, ethnic food, fresh bakery goods, garden plants, and so much more. The largest market sets up adjacent to Al Lang Stadium. With over 125 vendors, you’ll wonder through colorful displays and delicious aromas. Indi Market – This hipster brick-a-brac and craft market takes place on the first Saturday of the month October through May. The market sets up outdoors at Green Bench Brewing 1133 Baum Ave N.
Mazzaro’s Italian Market – Open six days of the week, at 2909 22nd Ave, this Italian specialty market attracts a cult-like following. Visitors come from far and wide to sample their authentic Italian cuisine, wines, cheeses, deli and imported grocery offerings. 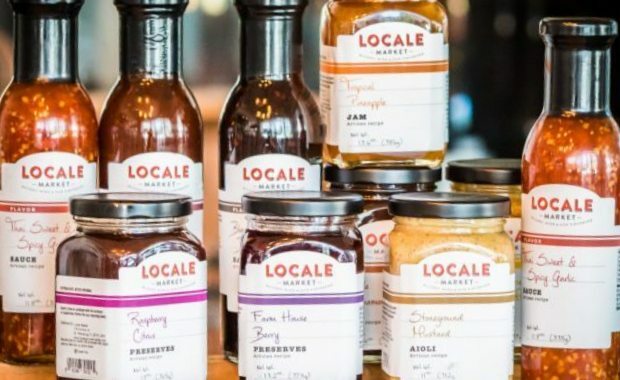 Locale Market – located at 179 2nd Ave, is an eclectic group of 11 local kitchens turning out an amazing variety of food inspired by locally sourced ingredients. Come browse among the open kitchens, ogle the dishes and then put together a meal to bring upstairs to the Farm Table restaurant. You’ll no doubt leave with a tote full of delicious Locale products and unique offerings as well. Friday Night Block Party – On the first Friday of the month, when the sun goes down Central Ave lights up and becomes as one giant block party. This is not your Grandfather’s St. Pete, there are band, brews and a raucous good time. Pride Celebration – St. Pete’s LGBT Pride Celebration is one of the largest in America. A three day celebration takes place each June “with over two hundred and fifty thousand people celebrate the power and beauty of diversity with over the top floats, lavish costumes, incredible live performances, and a firework spectacular along St Pete’s beautiful downtown waterfront”. 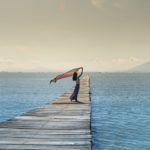 Mainsail Arts Festival – April brings St. Pete’s premier arts festival to Vinoy Park on the waterfront. Now in its 44th year, the festival of arts of every description attracts over 200 artists and 100,000 attendees. Admission is free. 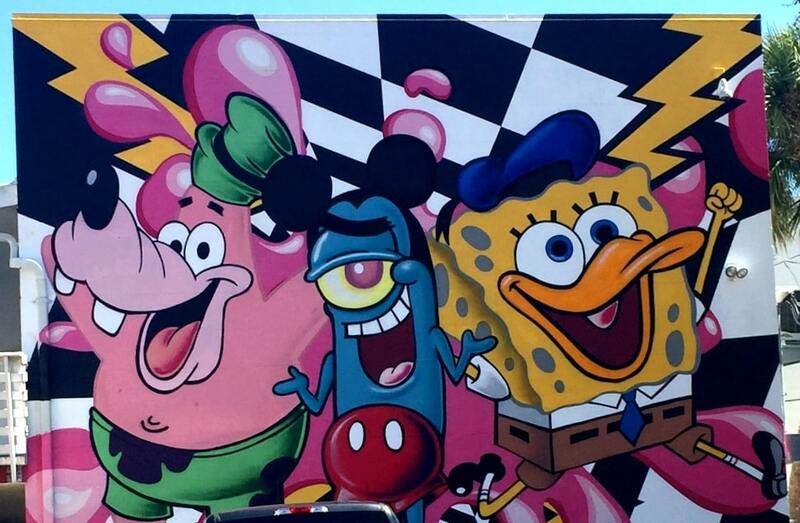 Shine Mural Festival – Shine On St. Pete is a fall festival that celebrates mural art in public places. The festival attracts mural artist from across the globe to create vibrant artworks on streets and buildings throughout the city. Come and watch the artists create giant art pieces using the city as their canvas. No matter the time of year that you visit downtown St. Petersburg, you’ll find a welcoming city brimming with creativity, exceptional art and culture, a vibrant culinary scene and a zest for living the good life. 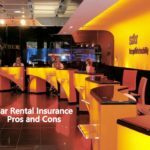 Plan your trip with VisitSPC.com and come join the fun.